Memoirs of a Madcap Musicmaker Madly Musicmaking and Making Mad Music (Est. 2004): Judi's Return Pt 3: Bamboo'ed! Judi's Return Pt 3: Bamboo'ed! 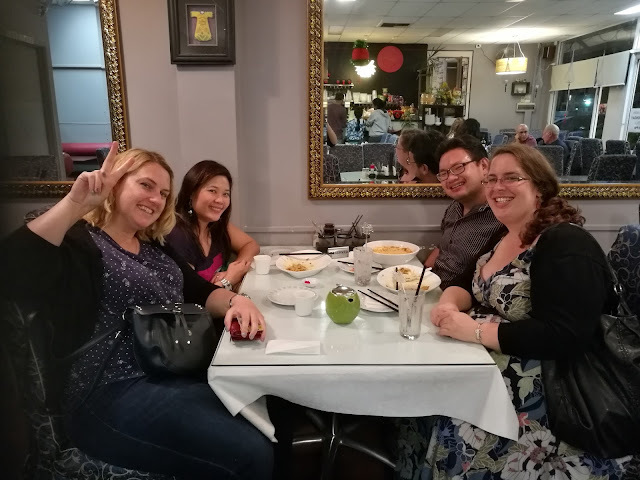 Pictures of us having Chinese dinner at Bamboo restaurant. We also had pizza dinner at Carol's last Wednesday (3rd May) and in the city at Hong Kong BBQ (Thursday, 4th May) before Judi flew off back to the UK, but for some reason we didn't take that many photos then, awww. Never mind. Here we are anyway!